Hinduism is the oldest of the world's faiths and its origins is dated between 10,000 - 7,000 BC in present day India. Hinduism is a dharma or way of life evolved by the great sages and seers of ancient India. Its traditions extend back before recorded history. Despite the oldness, Hinduism is still a living and growing religion and has Global acceptance. Hinduism is probably the most lesser known religion to the World but it is the faith of a billion souls in India. The reason behind this is that there are no Hindu or Indian missionaries or imposing of religion or trying to spread the faith activities among Hindus. 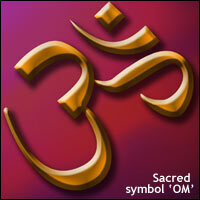 Hinduism is the only religion which says that different religions also leads to the same god although in his many forms. This is the beauty and uniqueness of Hinduism. Hinduism is also known as Sanatana dharma. The meaning of the word Sanatana is that which has no beginning or end and that which is there always. Dharma refers to the 'right way of living' and 'proper conduct' in a religious sense. With respect to spirituality, dharma might be considered the way of the higher truths. This web site is aimed at people who want to know more about Hinduism, serve as a guide to people who are new or beginners to Hinduism, understand the beliefs, scriptures and the Hindu way of every day life. The mission of this web site is to be a good resource on Hinduism. Use the info from this site for your learning, school projects etc. Please note that each section has a lot of sub-sections when you browse. To quickly find information, please look at the navigation section at the right hand side or use the search feature of this Hinduism web site. To see the entire articles/information in this site, visit this page.